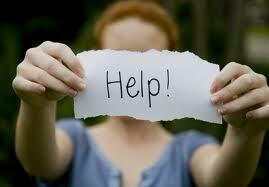 Suffering from depression can be a life threatening event. In the last 20 years, I have lost three clients to suicide. I recently had a client with a very painful, industrial neck injury just give up. We struggled for years to get authorization for surgery through the labyrinthine Worker’s Compensation System. As usual, the defense mindlessly fought tooth and nail over everything, and the years drug on. One night, he quietly went to his bedroom, stuck a 12 gauge in his mouth and ended his life. I wish a good mental health counselor could have explained to him that it is not just about him, it is about the people he would leave behind in life. He was a nice man. He is survived by a seven year old son, a family, and a host of people who cared about him. The sad reality is that eventually, he could have gotten his surgery and been back in the saddle. Work injuries or non-industrial labor disabling conditions are serious life changing events that are often accompanied by marked depressive episodes. Here are some scary statistics: seventeen percent of all American adults will experience an episode of major depression in their lifetimes. People with physical disabilities are three to four times more likely than people without disabilities to have a major episode of depression. People injured on the job have a 33% higher chance of developing depression than the general population. Depression happens to people from all walks of life. Even Winston Churchill had his “black dog.” It is nothing to be ashamed of. We are hunter gathers by nature. For many people, their “work is their worth.” What happens when life comes along and takes away that ability to earn a living or seriously compromises it with a painful physical condition? I think that some folks simply lose all hope and feel that their contribution in life is no longer necessary. Sometimes, half of the battle is just getting a client to admit that they are suffering from depression. People do not want to be labeled as “crazy” or somehow “weak.” While I am not a mental health clinician, making sure my clients get through bad times is important to me. When I interview a client, I try to recognize if they are experiencing depression on a clinical level. Among other factors, I am looking to see if someone is: having trouble sleeping, overly anxious, losing or gaining weight, losing interest in “hedonic” activities such as their hobbies, socially withdrawn, cannot concentrate, experiencing memory issues, or having suicidal thoughts. If you are suffering these problems, you really need to ask for help. This is nothing to mess around with. There is so much that can be done for people at that bottom of that deep pit looking up. There are new medications, treatments and cognitive (talk) therapy. By the way, for injuries prior to 1/1/13, an injured worker can also get permanent disability money for depression as a “compensable consequence” to their underlying Worker’s Compensation injury. In post 1/1/13 injuries, they can only be financially compensated in “catastrophic” cases. Regardless, people can get treatment for industrially related psychiatric conditions. Furthermore, documenting the treatment process can be critical in assisting an individual qualify for Social Security Disability down the road. Most insurance plans cover psychotropic medications and cognitive therapy. There is no reason for people to not get treatment. If finances are an issue there are many free or sliding scale programs that can help. If it gets really bad, people should know that most communities have a suicide help line. For a full list of resources, please visit our website (thomasledgerwood.com) and look under the resources tab entitled Surviving Depression. Life always comes along with a second wind. There is no earthly reason to make a “permanent solution to a temporary problem.” It is just a matter of seeing the light at the end of that long dark tunnel. There is hope; people just have to actively seek it out. Post a Comment to "Surviving Depression in a Disability Claim"